KIEV, September 6. /TASS/. The International Committee of the Red Cross (ICRC) sent trucks carrying 254 tonnes of humanitarian cargo to Donbass areas, which are not controlled by Kiev, the Ukrainian State Border Guard Service said on Thursday. "Fifteen trucks with humanitarian assistance traveled to the temporally occupied territory of Ukraine via the Novotroitskoye entry and exit checkpoint (in Donetsk region)," the Service said. 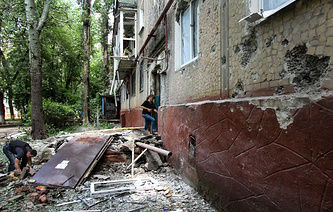 The ICRC sent to Donbass food and hygienic packages, medicines and also medical equipment and construction materials. 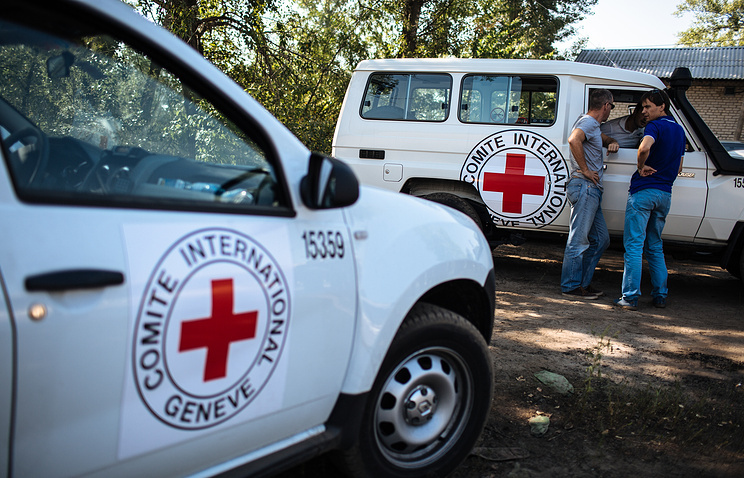 Last time, the ICRC’s humanitarian assistance arrived in Donbass on August 9. Russia’s Emergencies Ministry has been delivering humanitarian aid to Donbass since August 2014. Over this period of time, 79 humanitarian convoys have supplied more than 74,000 tonnes of aid to southeastern Ukraine, including food, medicines and essentials.